This is the full version of my faith journey, which I shared on June 3rd. This was written back then, but I withheld part only for close friends, and wanted to compile it all for you to see the full story in one today. I've stopped believing in Mormonism. The truth is I'm struggling how to tell you. I actually wrote out an entire post around my journey but realized that probably defeats my purpose in sharing this. I'm happy to discuss privately with any of you - perhaps I'll write that down and share a link for those that ask, in private so I'm not repeating myself. Keep in mind that I really don't want to argue about this. Contention is not my goal for this. Trust me - I know your side better than anyone. I have a very public profile online and you deserve to know that. I don't want to offend my fellow Mormons, but at the same time it's not fair to them to think I believe when in fact I don't any more. And the truth is, by just sharing the fact that I don't believe online I risk the fact that the culture and membership I've known my entire life could be stripped from me by church leaders. I love the traditions of Mormonism - the friends I've made there, the people I've met along the way, and the people I've served. Truthfully, I've been debating how to share this with you. I don't want you to go through the same things I have. They have been gut-wrenching, soul harrowing. The entire principles and culture I grew up with my entire life had been turned on its side. If you begin to doubt and begin to research, you WILL eventually find the same things and have to decide what to do with it. That's not what I want - you need to decide if you're ready for that. I need to be transparent with you though. I've been asked to do an AMA on Reddit about my story. I've been asked to be on John Dehlin's "Mormon Stories" (UPDATE - I did that - go here to see). I'm trying to decide if I'm really ready for that, or if there's really purpose in my going that direction. Clay Christensen was threatened with excommunication by just being on these shows (he resigned instead). (Also UPDATE: I resigned on Independence Day, 2016 - I'll share some of that later) I do owe it to you to share my story though and let you know where I stand. Throughout my life I've always made a commitment that I'd be honest and transparent in my faith journey. You can see some of that on this blog. My opinions and testimony have changed quite significantly over time from extremely conservative to somewhat liberal. On Facebook, where I'm more personal, I've shared the good and the bad, and I'm always 100% transparent in my opinions on subjects, and I was even as a faithful member. You can see that to the point where people within the LDS Church in my own congregation and area were sharing screenshots of what I shared online with my Bishop and Stake President. In fact my Bishop and Stake President called me in - I brought my wife with me (at her request - I have nothing to hide from her) - and condemned me for simply sharing sympathy with Tyler Glenn of Neon Trees, who created a pretty angry video of his feelings against the LDS Church. The post simply said, "A lot of anger and frustration in this video - thoughts?" I'll save those church leaders, who had good intentions, the grief of the details, but suffice to say there was contention, on both sides, in that meeting. Our Stake President told me AND my wife (who didn't post anything) we couldn't go to the temple. While not offended, I was hurt. THEY were offended. We walked out of the meeting early. I had been pushed off a cliff. Kicked out the door. At least that's how it felt. I haven't stepped foot back in church since. I understand how Christ felt, rejected by His own people and condemned for believing different. I'll be honest that I had a glimmer of faith in the LDS Church even when I posted that Facebook post. I truly wanted to hug Tyler Glenn. I could tell, from his video (which has many symbols in it, whether you get offended or not), was hurting. I wasn't trying to draw people away from the Church by sharing it. At that point in my faith journey (which was really just 2 months ago), I still believed that Joseph Smith could be a prophet. I still believed that, despite him sharing 3 different versions later in life of his vision of God and Jesus Christ (one of those which was not both of them), his supposed affair with a 14 year old girl while married to Emma, the flaws of The Book of Abraham translation, etc., etc. 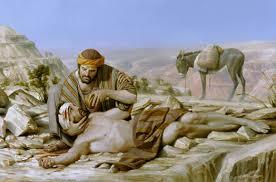 (most published on LDS.org or available in the LDS Church's own records archive), that just like Moses and Job and even Peter (who doubted Christ), and many of the prophets in the Old and New Testament, a prophet of God could be flawed. 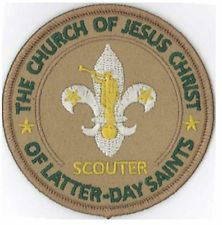 I wasn't quite sure of the truthfulness of the modern LDS Church though. I worked for 3 years as the first person at the LDS Church managing social media. I worked with every single department of the Church. I set up BYU's first Facebook Page. I set up the Church's first Facebook Page. Before I worked there I consulted to help them set up their first Twitter accounts and the Mormon Channel Youtube Channel. I helped the Church secure a Facebook ad account executive. I helped with the "I'm a Mormon" launch. I helped strategize the Church's response to having a Mormon (Mitt Romney) run for President. I monitored the conversation of members, non-members, and former-members online and truly understood many of the conversations happening on all sides. That's just the tip of the Iceberg. I'll be honest - even while working for the Church I truly felt the modern Church was true. I felt "the Spirit" there (something I still can't explain - you can feel the Spirit in non-LDS Churches as well, whatever that feeling is - it's a feeling of peacefulness and comfort, something I feel as I write this). Even with the executive clergy (members of the 70 and Quorum of the 12) I worked with, I felt they were truly trying to make the world a better place. They were also trying to defend the Church's existence, but they all had pure hearts. I still love many of them - some of the 12 Apostles know me by name and I hope they know I still consider them friends and love them. I feel while some of them make mistakes, they do get "inspiration" - whatever that is or means. I've seen miracles that I can't explain. I've seen these in other Churches too though. 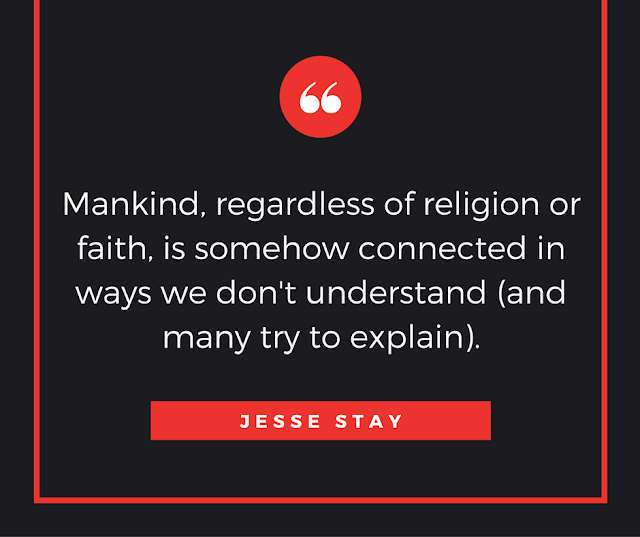 Mankind, regardless of religion or faith, is somehow connected in ways we don't understand (and many try to explain). Shortly towards the end of my employment for the Church, and in the years after I began truly studying the history of the LDS Church. Terryl Givens was my Bishop when we lived in Virginia over 11 years ago (before I worked for the Church) - Fiona, his wife was my Sunday School teacher when I was in charge of the Sunday School there. I was in the Elders Quorum Presidency under him as well - I love that man, and especially his dear family! So I truly understood there were flaws in Mormon history, and that many leaders had made mistakes. I wasn't willing to let that stop my faith. I started realizing the inconsistencies in the Modern Church (Brigham Young and after) - the Word of Wisdom and the fact that all church leaders through at least Joseph F. Smith drank alcohol, coffee, and some smoked tobacco (and who knows what else). I was aware of the fact that the Salt Lake Temple had spittoons in the room for the Quorum of the 12 up until Joseph F. Smith, and we have pictures that still exist today. The temple too was inconsistent - I came to realize that we don't even know the original endowment ceremony introduced by Joseph Smith. And the one practiced today is not even the one, nor signs or symbols or covenants that was practiced by Brigham Young and many other prophets after. It has changed MANY times over time. That's a historical fact. I highly recommend this book (click on this link), which I feel and felt even as a believing Mormon, was very respectful to Mormons' sacred beliefs on the subject. Add to that blacks and the Priesthood in the 70s. I worked for the Church when the Church released the statement admitting the Church was wrong. I always encouraged them while working there to be true, open, and transparent, as long as they felt they were true. If true, the truth will work itself out. They were very supportive of that, always trying to share truth when they knew it, as you can also see from the release of The Joseph Smith Papers recently. The tipping point was last October, when the LDS Church put an official (policy) ban on allowing the children of gay couples from getting baptized until they are 18. I'm all for making sure kids are accountable when they join a Church and frankly think age 8 is too soon. However, the inconsistencies of it all make it really hard for me to see that this is an inspired principle. What began my true doubt on the subject was the divorce of my Dad. 2 years ago my Dad left my mom - I'll spare the details (I've shared some on Facebook). He divorced her, and beginning of this year he was sealed in the temple to his second wife, after not revoking his temple sealing from my Mom. For the non-Mormons out there, a "sealing" means you are married for not just this life, but Mormons believe it seals you together after this life, and for eternity. Many say things will be worked out in the next life, but this step really weighed hard on me and my faith in the modern LDS Church and belief in the temple itself. So my dad, who purposely left my Mom not telling her why he was leaving, and marrying a second wife in what according to Mormon belief truly is polygamy, is sanctioned and celebrated in the Church, and I get to keep my membership as his kid (even if I was under 18), but the children of gay couples in the Church can't??? That made absolutely no sense to me. I was hurt. I was confused. All the previous inconsistencies began to come together and fall. It's interesting how life tragedies can push people to truly seek for more truth. I began discussing with my wife my frustrations and disbelief in what the LDS Church was doing. I no longer believed the LDS Church, as it stood today, could be true. It was not an easy conclusion to come to, and there is much more to it than what I'm just sharing here. At that point all I had was the possibility that Joseph Smith's Church was true, but Brigham Young's wasn't. Could it be that the Church fell after Joseph Smith died? Could Community of Christ, a Protestant Church modeled more after Joseph Smith's original church, actually be that church? Had we completely lost what Joseph Smith set out to accomplish? Circle back to the meeting with my Bishop and Stake President that I mentioned earlier. I said they pushed me off a cliff. I no longer believed in the modern Church. I was convinced of that (and frankly I would have preferred to discuss that with them than a stupid post on Facebook and the condemnation they ensued on me). I'll be honest I wasn't quite sure what to do about it. I stopped going to Church - it just wasn't worth it any more. So I needed to figure out the truth of Joseph Smith's church. I began studying real historical documents, on both sides of history. The LDS Church has its own point of view around history that defends its own existence - I saw that first hand working for the Church. The bureaucracy itself is built around defending its existence and that's why you see things like Prop 8 happen. There are also many historians, solid historians, in and out of the LDS Church that have their own views of history. I read all of those. Without getting into detail, I began to realize that Joseph Smith had more evidences against his story than for it. Look up "The CES Letter" if you want a cliff notes version - I'm not going to try and convince you here, and frankly that's not my purpose of this. Before I knew it Joseph Smith's own story had crumbled. I was no longer willing to say that I knew Joseph Smith saw God, or that the Book of Mormon was written by a prophet, or that I knew Joseph Smith was a prophet. Every time I said that before it was based on evidences (see Hebrews 11:1 for the definition of faith, which I taught on my LDS mission). Now the evidences pointed the other direction, in quite a significant way! I don't want to appear as "anti-Mormon". I don't want to be someone trying to convince others, or evangelizing against the Church. Frankly, I'd still fight for the LDS Church if they wanted to hire me again. I'm still against people sharing videos of the sacred LDS temple ceremonies on Youtube. I'm still against ex Mormons trolling Mormons on Mormon blogs. There are many good things the organization itself does, and like any former employer I enjoyed working for I would do it again if for some crazy reason they asked me. I just don't believe in the doctrines any more. Heck - I may even continue sharing my photos with LDS Create, as I have done thus far. Lastly, I don't want to offend any of you. I know many of you, especially family, see someone who leaves as not going to the Celestial Kingdom. I don't want you to be sad. Frankly, you can try to convert me in the next life if I'm wrong (which I am 100% convinced at this point I am not, nor do I want to argue about it). I'm not a "sinner". I'm not "offended". In fact I'm at peace. I've prayed about it. I've read the Book of Mormon dozens of times. I've sought out the best books and sought the "Mysteries of God". The truth is I was, spiritually and ethically, moving faster than the Church, and this was my only next step in my life (or eternal) progression. I am completely at peace with my direction in life and I'm happier, and healthier than ever and a better person because of it. As I've always said, this is my faith journey SO FAR. I anticipate this will change more and more in the future. Who knows where I'll be 10 years, or even 20 years down the road? I want you there with me. I want us to all be friends in our individual journeys. As I've said on Facebook, my mantra is to be true to myself, and kind to others. God or not (I'm still figuring that out), the laws of Karma and the Universe still exist. What we put into this earth we get out of it. I hope you can join me on this journey, whether you're Mormon, non-Mormon, former-Mormon, or otherwise! Please, reach out and say hi some time - not as a church leader, a home teacher, or visiting teacher, but as a real, true friend. Frankly, I'm not quite sure I can be sure of that if you have any of those callings and come to me, I apologize - I've held the callings myself and I KNOW I wasn't true friends with many of those I was trying to bring back to the Church. I can usually tell your true intentions - building trust with me is really important at this point. I'm hoping to discover who my real friends are from all of this! You can know if I friend you, I now have have none of those motivations - I expect the same. I'll try to share what I can as I progress on this blog, so please subscribe! Let's all heal, in our own individual journeys, together. And if you're struggling, I'm here to help, no matter which side of the coin you end up on. What Do You do When You Stop Believing? I've been asked to do an AMA on Reddit about my story. I've been asked to be on John Dehlin's "Mormon Stories". I'm trying to decide if I'm really ready for that, or if there's really purpose in my going that direction. Clay Christensen was threatened with excommunication by just being on these shows (he resigned instead). I do owe it to you to share my story though and let you know where I stand.